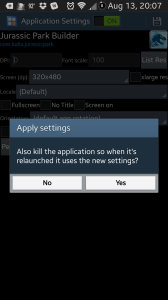 Increase Battery Life and Reduce Game Load TimeIf you’re like me and don’t care about super-high quality graphics, you can use Xposed App Settings to tell apps to run games and other apps at a lower screen resolution. The dimensions of the apps remain unchanged and I haven’t noticed a difference visually, but the apps load faster and I’ve gotten more battery life. 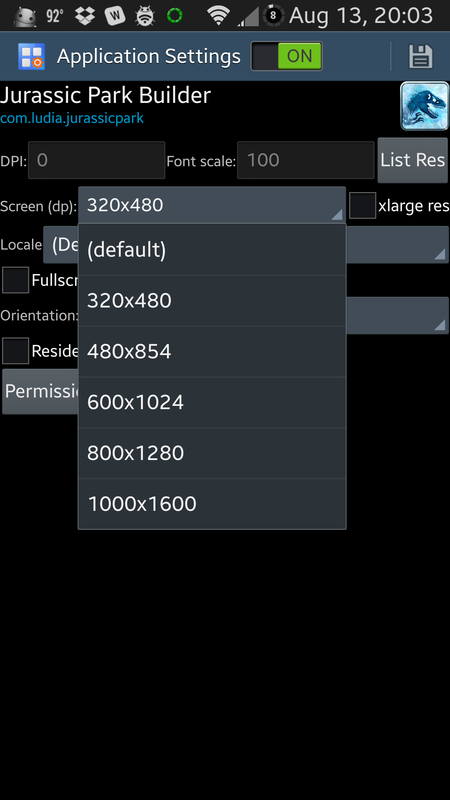 Clear the data of the app for which you want to change the resolution. 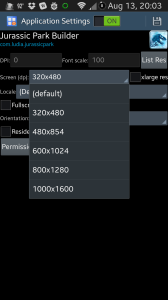 Change “Screen (dp)” to something small (I used “320×480”). Click the floppy disk icon (top right). Click “Yes” to kill the app if asked. Start the app. It will now redownload and/or reinstall lower resolution graphics. Update: Not all settings in App Settings will work. You’ll have to play with it some to figure out which settings work.